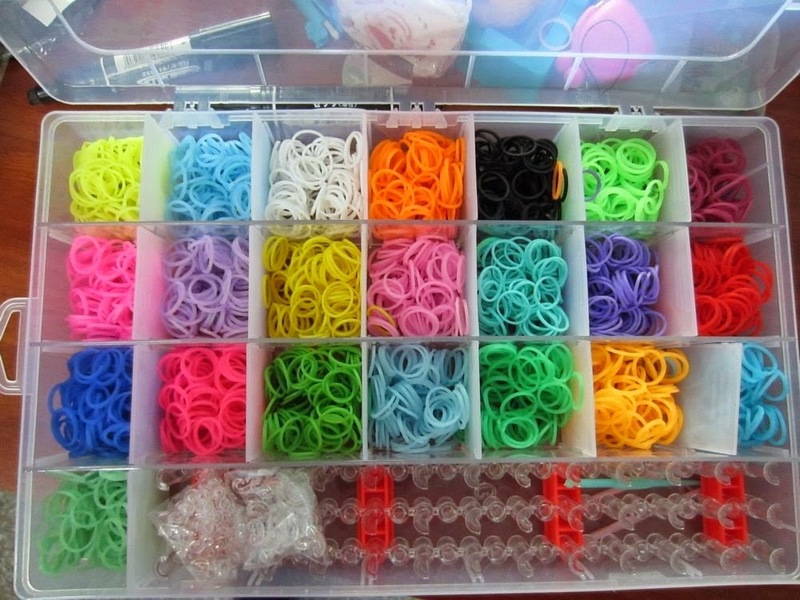 Have your kids caught on to the Band Loom Bracelet Craze yet? My daughter got a loom for Christmas and has been making them non-stop ever since. She quickly ran out of the rubberbands that came with her kit and it's been really hard to find some. As fast as she goes through them, I knew I didn't want to spend $1.99 for a tiny package. She'd be done with that in no time. Instead, we found Rainbow Bandz refill kit. It comes with 5400 bands in super bright, fun colors. My daughter was so excited when it came. She's been making things with it ever since. She's made bracelets in all sorts of fun styles using video tutorials from YouTube. She made a headband, and even a jumprope. 5400 bands goes a LONG way! She still has a ton left. These bands are super high quality and don't break like some of the cheap bands from China. Because they come in so many fun colors, we've even used them in her hair since she has pretty much a color to match any outfit! 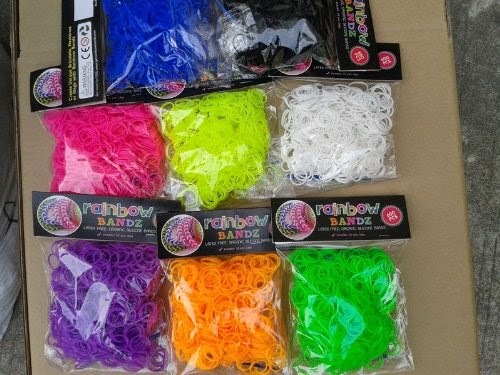 If you're looking for refills for your band loom, you can't go wrong with these! The refill kit is available to purchase on Amazon! We also discovered the Rainbow Bandz Organization box to store them in. It's a clear plastic organizer with adjustable compartments so it can fit your loom and all your extra bands. My daughter takes it with her everywhere. I've been training to run a half marathon since January. The lsat few weeks, my training has dropped off some while getting ready for my daughter's wedding. Now that it's over, I need to gear up and get busy or I won't be ready by July. I haven't always liked running, but I am learning to really love it. It's about the only time during the day that I do something just for me. To make it even more fun, I download my favorite podcasts and listen to them while I run. It helps me not only have a healthy body, but a healthy mind as well. I really look forward to it. I've been looking for a good pair of headphones that won't fall out while I'm running, so I was excited when I was asked to review Momentum Ultra-Light Headphones. Weatherproof and Sweatproof headphones with an ultra-small, lightweight design for uninterrupted, premium sound that survives all your workouts in any terrain. Includes 4 ear tip sizes to provide a customizable fit that keeps headphones in place during even the most rigorous of activities. They feature an innovative "retro-reflective", tangle free cord that illuminates with light for extra visibility and safety while working out or running in low light. They also sport an in-line remote that is iPod and iPhone compatible, allowing control of volume and playback, as well as placing or receiving calls and activating SIRI. 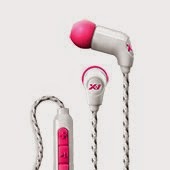 I really like these headphones. It's fun that they come in several different bright colors. My favorite feature is the tangle free cord. The cord is covered in some sort of reflective fabric and doesn't get tangled, no matter where I put it. The sound is good, and they stayed in my ears perfectly. The fact that they are sweat proof will be helpful on the upcoming summer days. I'm not looking forward to running in the heat! The older I get, the more I worry about my skin. When I was a teenager, I remember my mom telling me someday I'd regret laying out in the sun so much. She was right. I hate that I have lines on my forehead and around my eyes. I was excited to try Ageless Derma Apple Stem Cell and Anti-wrinkle cream. Even celebrities, who have access to any skincare product they wish, depend upon PhytoCellTec to maintain their luminous complexions. According to Vogue magazine, film stars such as Julianne Moore, Gwyneth Paltrow and Helen Mirren all enjoy the dazzling results of using the apple stem cell extract. With confidence, we invite you to dare to dream of smoother, silkier, firmer, brighter skin. Ageless Derma Anti-Wrinkle Cream will revitalize your skin’s health and recapture your youthful radiance. I loved the attractive packaging. It made me feel like I was using a luxurious spa product. A girl can never have too much pampering, right? I used the cream every morning. I honestly didn't really see a visible reduction in the lines on my forehead. I did like the texture of the cream though and the fact it wasn't oily. I always moisturize before putting on my makeup and it helped my makeup spread smoothly. In Self Confidence - How To Overcome Shyness, Worry And Boost Your Self-Esteem you will find out proven steps and strategies you can start applying instantly, in order to build up your confidence as well as your self esteem. You will learn about the importance of external appearance, little known tips you can implement and some mistakes you have to avoid. You will learn about positive affirmations, how and when to properly use them and of course why you should even bother. You will be able to determine whether you are suffering from insecurity and how to overcome it. Furthermore, you will find out how to stop worrying and start living and how to harness the power of positive thinking. Finally, you will learn ways you can instantly apply to improve your self esteem and how it can affect the quality of your relationships. I can't really say that it includes any new groundbreaking information, but the author's passion for her topic is evident throughout. Unfortunately, the book could have used a good edit. This made it distracting and a little hard to read. But if you're new to the area of self-improvement you can probably pick up some good tips to increase your self confidence. Not everyone can win the race, but everyone can finish it. Find the strength to conquer even your most daunting goals in this inspiring account of one woman’s journey to the life of her dreams. It all started the morning Betsy Schow woke up ten pounds heavier than the month before and surrounded by the clutter of halfhearted projects and discarded hobbies. She decided she’d had enough. What followed in her quest to wish away the extra 75 pounds around her middle accidentally changed her life for good. Using her Philosophy of Finishing, Betsy snowballed her efforts from weight loss into a bucket list of seemingly impossible dreams. Now she’s here to share the simple secret to her incredible success. Whether your goal is losing weight, running a marathon, cleaning out the basement, or all of the above, this informative book will teach you how to achieve more than you ever thought possible without sacrificing your sanity or your sense of humor. I had seen Betsy Schow's amazing before and after pictures floating around on Facebook and had read a few of her blog posts and found her very inspiring, so I was super excited when she asked me to review Finished being Fat. Believe me, I'm a collector of diet books. I've already bought four or five this year. I'm not sure what the pull is. I think I keep looking for the magic bullet that will finally help me achieve the weight loss and happiness I've been searching for. The truth is, I think I'm really just putting off the inevitable. I know the answer is already inside me. I already have all the tools and knowledge I need to lose weight. I loved Finished Being Fat because it's not just another diet book. There are no food lists or exercise charts. Instead, it's full of real life, true struggles, and a good hard look at what it takes to follow through on something even when it's hard. This book talks about some heavy subjects and exposes Betsy's vulnerability, but because of her unique sense of humor, the book feels light and uplifting. 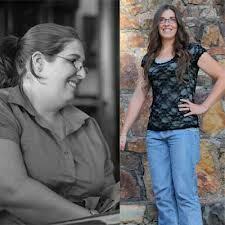 I was extremely motivated by her weight loss story and the personal growth she experienced through the process. I appreciated an honest look at the truth behind weight loss. I cheered for her every time she achieved a milestone, and felt sad at her setbacks. After reading this book, I feel a renewed motivation to make the changes I need to make, and I realized it really isn't about losing weight at all. It's about taking one day at a time, loving yourself through the ups and downs, and finishing what you start. You are worth it, and so am I. This book is not just for people who want to lose weight. Betsy's journey of self-discovery will help anyone who feels like they are floundering and needs a push to find the inner motivation necessary to achieve their goals. The final chapter of Finished being Fat includes Betsy's current list of goals. You can follow her progress and learn more about her by visiting her website, www.betsyschow.com. If you spend much time online, you've probably seen or heard of Nick Vujicic. He was born without arms and legs and has spent his life making the most of it. He believes that with God, all things are possible. In fact, he says, "I keep a pair of shoes in my closet, because I believe in miracles." On October 2, his new book Unstoppable will be released by Random House. Now, if that video is not enough to convince you that this is a book you need to read, you can download an excerpt here. Nick's life and his new book, Unstoppable, hold a very inspiring message, and I don't want you to miss it! How to give yourself a $400 per month raise without asking the boss or working a minute of overtime. "Spend Like a Diva." How to have anything you want - nice vacations, eating out, trips to the mall. It's all part of the plan! The secret formula of how to completely eliminate your debt in 1/3 the time and save tens of thousands on interest costs in the process. You'll see why all the TV gurus are wrong! 5 Million-Dollar-Diva investing strategies that will grow your money safely and predictably every year, without the guesswork. Plus! Discover the key to stop fighting and quarreling with your spouse about money forever! Imagine yourself living debt-free and building a million-dollar retirement safely and securely, so you can have total confidence in yourself and your future. Get a copy of this book for FREE! From now until JUNE 15th, you can get Million Dollar Diva for free! All you have to do is pay for shipping and handling. 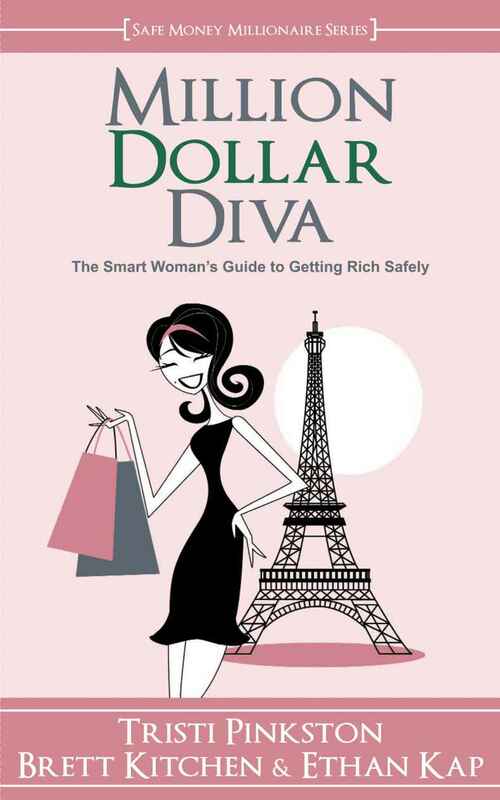 To get your copy today, please visit milliondollardiva.com. First, let me start off by saying we have an interesting, but all too common, situation in our family. My husband and I have both been married before, and like many divorces, we were left with far too much debt, and very few "things." But we're okay with that. After all, things are just things. We both know someday we'll be able to buy more things and that things don't make you happy anyway, but neither does debt. Million Dollar Diva addresses the ever-growing epidemic of personal debt. It teaches a unique method for paying down your debt and saving money for your future. I'm a numbers kind of gal, so I appreciated the calculations and scenarios presented showing how investing in yourself can pay big dividends in the future! The format of the book was a refreshing change from other books I've read about personal finances. It was a very down-to-earth look at how women and families can change their lives and tackle their personal financial situation. I really admire Tristi Pinkston for being brave enough to share her own story. It helps to know that others are out there struggling with the same things I am, and asking the same questions. That was my favorite part of the book. Tristi asks all the questions that come to my mind when I'm thinking about the reality of my finances and getting out of debt. I highly recommend this book. Be sure to check out the Million Dollar Diva website. There are lots of great resources there, so take a look around, and order the free book while you're at it! You'll be glad you did! Click on the book to order an autographed copy! Kimberly Job is a busy mother. She and her husband, Scott, have a combined family of ten children. Her writing reflects the many personal experiences she has gone through and offers insight on difficult issues from a refreshing gospel perspective. Her first novel, I'll Know You by Heart, will be released in March 2010. 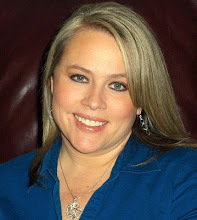 In addition to writing, she is an avid reader, enjoys playing with her children, scrapbooking, cooking, and loves learning new things. 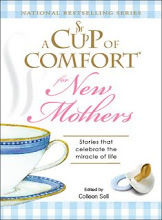 My nationally published story, "Equal to the Task" is featured in A Cup of Comfort for New Mothers.